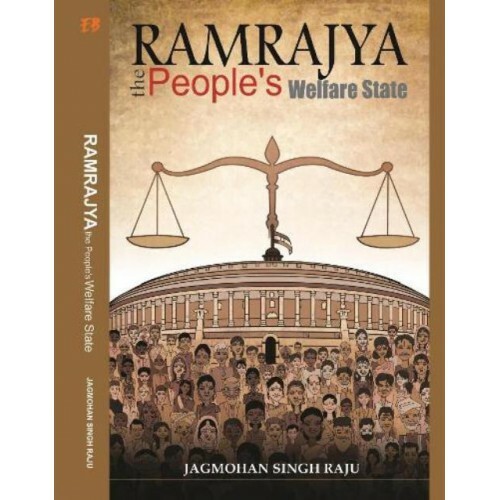 The book, based on the author's doctoral research, is an attempt at bringing an enhanced understanding of the ongoing national discourse on people's aspiration for a welfare society and good governance, what is commonly perceived as Ramrajya, and its accomplishment. The volume will be of particular interest to students and practitioners of political science, public policy, development studies and governance, as the author in this study addresses some very interesting questions, such as: What is welfare, social justice, development and developmental Hindutva? What is a welfare state? What is the constitutional framework of Indian welfare state and is it different from Ramrajya? How to measure delivery of people's welfare or attainment of Ramrajya? When all states of India are governed and bound by the same constitution, then why one state performs differently from another in the delivery of people's welfare? Should development have precedence over welfare? What can accelerate establishment of a constitutionally compliant Ramrajya or the Indian model of a welfare state? 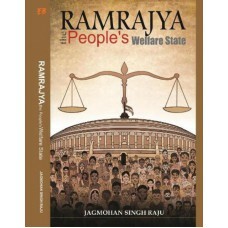 By addressing these questions the author adds a new perspective to the Indian welfare debate by: (a) contextualising it in reference to international discussion on sustainable welfare state (b) providing conceptual explanations of welfare, development, welfare state or Ramrajya besides evaluating their constitutional compatibility (c) developing a tangible framework of constitutionally acceptable model of people's welfare state (d) inventing a meter to measure welfare delivered and (e) finally providing leads on accelerating the process of establishing welfare society across India. The readers of the book will be in a better position to have an informed participation in the national debate on welfare and development in India. 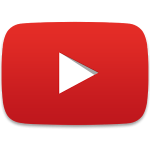 The views expressed in this volume are of the author and do not in any way represent the views of the service he belongs to or the organisation he works for.